For your Burns Night suppers and Scottish themes we’ve got Bagpipers traditional and new wave. 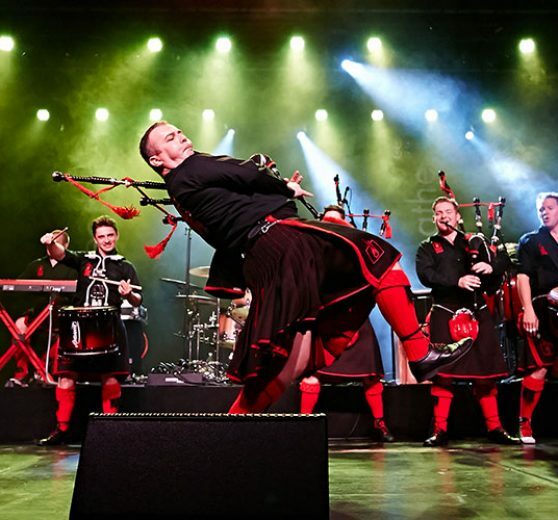 We can play it cozy and intimate with Scottish folk songs on the harp or raucous and wild with red hot pipers who’ll make the night steam. You may prefer a traditional ceilidh with our fabulous bands and callers. To keep the laughter and the whisky flowing with ease we’ve got great comedy MC’s who can do Ode to the Haggis and Toast to the Lassies, dressed in a tartan kilt of course! It was the best Burns Night yet! The MC went down an absolute storm and did an awesome job in linking throughout the evening. But I have to say, I don’t think I have ever seen 230+ people laugh so much at a raffle. He was a true professional I would recommend him to anyone. The band were, to be frank, one of the BEST cover bands I have ever seen or worked with. Steve’s positive energy filled the room and I even had a supplier offer me £2k for them to keep going. Lots of my peers in the room asking where I found them. I would without doubt, book them for future events. Thank you for introducing me to such talent, Sue!